Decision Support Tools (DSTs) have become in vogue over the years because they break down a process that always causes stress and confusion for workers into a few short, easy questions and options. Many large and mid-size organizations are turning to DSTs to help their employees sign up for health insurance. When it’s time to help your employees make that decision, how do you know which decision support tool to invest in? 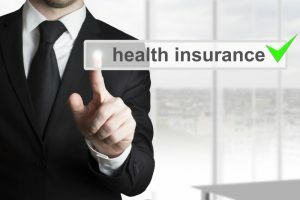 Employee benefits companies and brokers are making DSTs more available now more than ever in an effort to serve the needs of employees who are increasingly confused and frustrated by the health insurance sign-up process. Many of these new DSTs offer fancy bells and whistles, touting their ability to present information succinctly and giving employees the chance to sign up quickly and be on their way. Expediency is well and good for any employee benefit, but there are three main aspects of any DST you should look for when you choose to invest in one. It should go without saying that the DST has to be built with the ability to go through reams of health insurance data and information quickly based on a few entry data points from the user. In other words, when your employee punches in the basic information the DST needs to provide health coverage options, the employee needs to able to rely on the information the DST sends back. There can’t be any missing options out there the employee hadn’t heard about because the DST algorithm didn’t see them. There has been concern over some DSTs that appear to present only a few options based on only a few data points, but don’t confuse simplicity with incompleteness. Look for demos and case studies proving that a DST can provide accurate information to the employee. Different DSTs work differently, but they all involve employees interacting with the system, giving it information somehow, and the DST responding with options. Many DSTs are also used as information hubs, which is easy enough for employees to do for their employees, providing explainer videos and other materials to help workers make their healthcare decision. 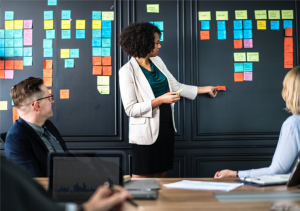 No matter how complex or rudimentary your DST is, you have to pay attention to how the information your employees are looking for is presented to them. Explainer videos are great because they can include animation and act like pocket PowerPoint presentations, but they’re not the only way of effectively passing on information. A glossy video explaining how healthcare benefits work and how to sign up for them is extremely helpful, but it can’t always impart all the information employees need. While people rarely go through the huge benefits packets anymore, written information on the plans, how much they cost, what they carry, deductibles, etc., needs to be readily available and accessible by employees when they’re deciding on healthcare coverage. How the DST module presents pertinent information to employees when they request it is a key factor. The factor that will probably separate most DSTs these days from others is the degree of personalization and control you will have over the module once it’s installed. Not only should you be able to tailor the DST to fit your employees’ needs, you will also need the module to tell you what to expect when employees start signing up. The best DSTs will give you a cost prediction based on the options your employees are likely to see for health insurance, you can begin to plan for healthcare coverage costs. There are many factors to consider when choosing a DST for your organization, but if you look for these three basic features, you’re on your way to getting one right for you.